death on Thursday, April 21. He was an inspiration, collectively to the world and to me personally. May his memory and music live eternally in the hearts and dancing shoes of all those he touched. “Akounak Tedalat Taha Tazoughai,” which directly translates to “rain the color blue with a little red in it,” (the Tuareg language has no word for the color purple) premiered in Philadelphia on April 14 at PhilaMOCA as part of this year’s Cinedelphia Film Festival. The film has been widely described as a Nigerien remake of Prince’s iconic 1984 film, “Purple Rain,” shot in Tuareg and French with English subtitles. The music is intoxicatingly groovy. The visuals are dreamy and striking. And my feelings after seeing the film are absolutely electric–like the guitars. Interestingly, the film is a production of Sahel Sounds, a record label in Portland, Oregon, founded by ethnomusicologist and sound explorer Christopher Kirkley, who also directed and helped shoot the production. The label features music of all styles and traditions from the region, and is the product of countless hours of field research and travel, gathering music in any way possible, from the recording studio to the cell phone. 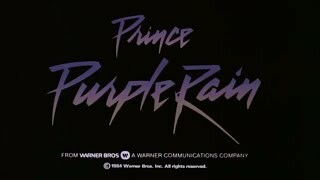 For the uninitiated, Prince’s original film “Purple Rain” follows a kid with a troubled home life who plays music to escape his woes, finds himself at odds with the rival bandleader in town, and–through his music–finds liberation and freedom. It’s a story that many musicians in the Sahel would relate to. Like “Purple Rain,” “Akounak” is a great film, even if you aren’t a musician, and the earnest, relatable characters and gorgeous cinematography–not to mention catchy original soundtrack–keep you glued to the screen. “Akounak’s” effortlessly cool protagonist, Mdou Moctar, like Prince, is a real bandleader and prolific guitarist in the Sahel region of Africa, where guitars reign supreme as musical instruments because of a strong connection to American rock and roll. Also, like Prince, Mdou (and a few other Tuareg musicians) wrote all of the original music for this film. The film follows Mdou as a newcomer to Agadez, a guitarist trying to find a place for himself in a city already dominated by competing bands and bandleaders. He quickly sets himself up as a target for the established head honcho guitarist in town, Kader Tanoutanoute. Mdou and Kader are both musicians and Tuareg in real life and in the film–they use their real names and play dramatized versions of themselves. A sizzling rivalry ensues. Songs are stolen, dirty tricks are played, and it all culminates in a guitar competition at the climax of the film, pitting guitar against guitar in a battle of honor versus treachery. When Mdou and Kader meet in the dusty streets, you half expect them to pull out revolvers and square off for a wild west, rather than a guitar, duel. The actors in the film are all residents of Agadez; the musicians are real band members of groups from the community. This makes for an aesthetic and atmosphere with the occasional intimacy of a home movie, punctuated with the slick coolness of a plentifully funded feature film. While the characters’ rivalry in the movie is convincing, I imagine that after they finished shooting for the day, everyone got together to share a few laughs and songs over tea. The film is really all about the music, but it is still nuanced and varied. A compelling love story ensues between Mdou and Rhaicha, a local girl with whom he becomes infatuated. Mdou’s relationship with his family also takes center stage–he is forced to reconcile with his strict father and continues to play guitar despite his father’s wishes. In one of my favorite moments in the film, Mdou’s father lights his guitar on fire. Sitting next to the burning remains, he says: “All guitarists are criminals, it’s an obligation!” Mdou must, and does, prove him wrong. Agadez, Niger, where “Akounak” is set, is the largest city in Niger and is inhabited by the Tuareg people. Tuareg guitar, as the musical genre has become known, is a blend of fluttering melodies, droning chords, and undulating drum-grooves borrowing from more traditional African folk music traditions, injected with growling guitar licks and unbelievably catchy compositions nodding to American rock music. The music is more than just expressive. It is revolutionary, bringing the Tuareg people together in a cry for progress and peace. This is Mdou Moctar’s sound, and this is the world we enter when the film starts. The film is joyful, fiery, and inspiring. I’m not sure that I’ve ever seen a film like this. The joy of this film is in the details, the little bits of dialogue (“You know guitarists are nothing but drug addicts?”) or playful nods to cinematic influences, from spaghetti westerns to Italian Neo-Realism. To think of “Akounak” only in the context of “Purple Rain” sells short the fierce individuality, awareness, and independence that went into the creation of the film. In fact, there are a wide range of influences present here, notably the iconic 1972 Jamaican crime film “The Harder They Come,” starring Jimmy Cliff, which was credited with bringing Reggae to the world with a pulsating soundtrack. I hope that “Akounak” can have the same effect with Tuareg guitar. The Sahel region of Africa runs east-west across the continent, sandwiched between the Sahara to the north and the Sudanian Savanna to the south, including parts of Mali, Niger, Nigeria, Chad, and Sudan, among others. The region has endured many hardships, from crippling droughts to the practice of female genital mutilation and tribal conflict. But through these dark parts of history and modernity, many consistent lights have shone for the people of the Sahel–their music is one. Many Africans say that Mali was the birthplace of what Americans call the blues, while Americans assert that the Mississippi delta in fact should be credited with the emergence of the genre. The dispute continues in academia, where the blues is believed to have originated from African-American work songs, while the call and response comes from Africa. When this music was introduced to the Americas through the slave trade, it started a long evolution of style whose influence is still enormous today. Particularly fascinating is how these styles, from rock and roll to traditional African folk music, have borrowed and blended elements over the years in an incredibly prolific cultural exchange. In the Sahel, musicians have gravitated towards one instrument–the electric guitar. The style championed by African musicians such as the hugely influential Ali Farka Touré is honorably continued here. “Akounak Tedalat Taha Tazoughai” will be shown at PhilaMOCA for three encore screenings on Sunday, April 24, 7:30 pm; Monday, April 25, 7:30 pm; Tuesday, April 26, 7:30 pm. The soundtrack to “Akounak Tedalat Taha Tazoughai” is available from Sahel Sounds. There is so much to see, and most importantly hear, from this record label, from Tuareg guitar to traditional Mauritanian wedding songs and Mali’s street party DJ’s. Seriously, you don’t want to miss a beat. Next  Saturday, May 7 - Come on an Art Safari with us!